The new year is bringing with it some can’t miss TV. Whether your favorite series ended in 2015, or is on hiatus heading into 2016, we’ve rounded up the top picks of new shows to watch when they debut this winter and spring. The first three episodes of this hilarious comedy are already available to watch On Demand. 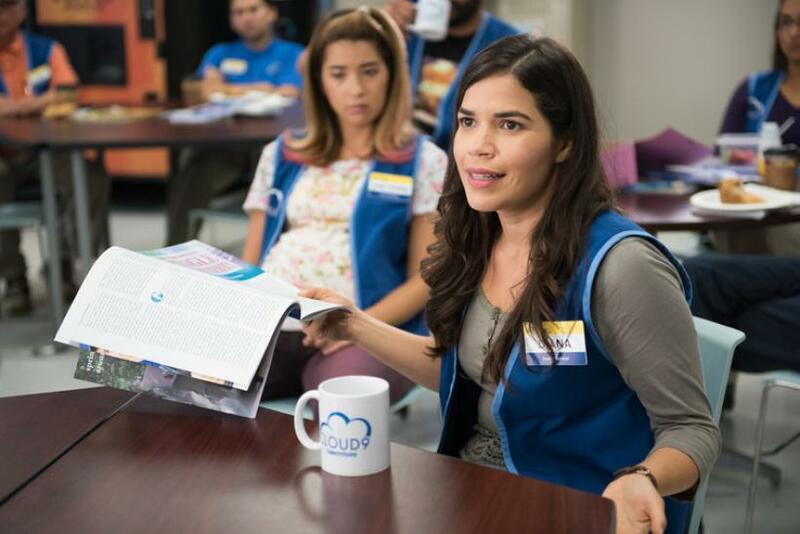 America Ferrera (“Ugly Betty”) and Ben Feldman (“Mad Men”) lead this comedic cast of misfits working and oddballs working at a superstore called Cloud 9. Get ready to dive into MTV’s new science fiction series based on the “Shannara” books by Terry Brooks. The books follow brothers Shea and Flick Ohmsford as they journey to find the Sword of Shannara and defeat an evil villain who threatens their home, however, the TV series is putting their own spin on it. Austin Butler (“The Carrie Diaries,” “Switched at Birth”) stars. Jane Lynch (“Glee”) returns to TV in this comedy about a young woman who is uncertain if a woman following her is crazy – or really her guardian angel. Jennifer Lopez is back! The singer/ actress stars in this new crime drama as an FBI agent forced to work on the anti-corruption task force. Ray Liotta (“Texas Rising”) and Drea de Matteo (“Sons of Anarchy”) co-star. “Shadowhunters” is perhaps one of the most talked about shows of 2015. The supernatural drama, which is about a young woman entering the world of demon hunting, is the first new show premiering on the newly renamed Freeform. A dead police officer (Robert Kazinsky) gets a second chance at life in this new drama. Fox already has the first episode available to watch online. The superhero obsession continues with the CW’s introduction of “Legends of Tomorrow.” Characters that have appeared on “Arrow” and “The Flash” will be making their way to this new series. Chip Baskets (Zach Galifianakis) wants to become a professional clown, but things don’t go as planned in this new comedy from Galifianakis, Louis C.K. and Jonathan Krisel. 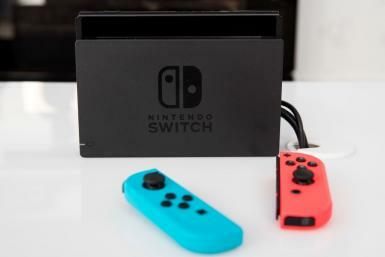 Can this even be considered new? “The X-Files” went off the air in 2002 but is getting a short reboot on Fox. Gillian Anderson and David Duchovny reprise their roles as Danny Scully and Fox Mulder. The new year is going to get a little dark thanks to Fox’s new dramedy. Lucifer (Tom Ellis) takes a break from hell to wander Earth and ends up teaming up with the law to find the person responsible for murdering his friend. This teen drama is the second new series debut for Freeform and centers on a functioning addict who decides to move into a rehab facility. The O.J. Simpson murder trial unfolds from the same minds of “American Horror Story.” Selma Blair (“Anger Management”), Connie Britton (“Nashville”), Cuba Gooding Jr. (“Selma”), Sarah Paulson (“American Horror Story”), David Schwimmer (“Friends”) and John Travolta (“From Paris with Love”) star. Everyone’s going to be talking about this new HBO series. From the creative minds of Martin Scorsese, Mick Jagger and Terence Winter, this new drama will transport viewers to the music industry in New York during the 1970s. Bobby Cannavale (“Ant-Man”) stars alongside Olivia Wilde (“Doll & Em”) and Ray Romano (“Parenthood”). A dark mystery unravels as a politician’s young son returns to his family after disappearing over a decade ago. The family welcomes him back, but the question is whether the son is “really who he says he is.” Joan Allen (“The Killing”), Zach Gilford (“The Purge: Anarchy”), Liam James (“The Killing”) ,Alison Pill (“The Newsroom”) and Rupert Graves (“Sherlock”) star. The O’Neals are the perfect family – until some “surprising truths” are revealed. That’s when their true colors come out. Martha Plimpton (“Raising Hope”) and Jay R. Ferguson (“Mad Men”) star. Get sucked into this biblical drama based on the “Books of Samuel,” which are from the Hebrew Bible/Old Testament. Ray Winstone (“Point Break”) and Olly Rix (“The Musketeers”) star. A private investigator discovers that her fiancé was a con man – and now she wants revenge. Mireille Enos (“The Killing”) and Peter Krause (“Parenthood”) star. Watch the trailer HERE.